Over 200 West Point Partners are coming to this year’s Breeders’ Cup at Del Mar to cheer on Best Performance and Untamed Domain. That’s an unbelievable number and a testament to the passion and excitement our owners have for the sport! Included in our group are a number of new Partners. We’re fanatical about growing the game and love seeing fresh faces in the ownership ranks! 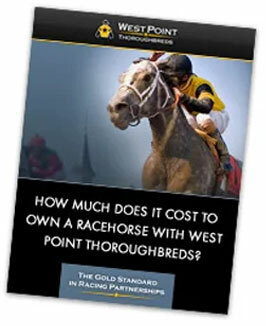 This summer West Point Thoroughbreds’ first ever Young Professionals Initiative (YPI) was created by its own team of young professionals to give the “under 40” crowd the opportunity to get involved in a group of high potential racehorses for a modest investment. 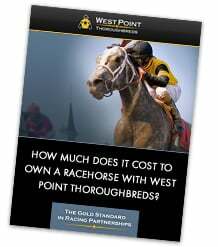 Each Young Professional in the ownership group owns a percentage of five West Point 2-year-olds, and hit the jackpot right out of the gate. One of those horses is the graded stakes-placed filly Best Performance. Trained by Christophe Clement, the filly is a live contender in the $1,000,000 Breeders’ Cup Juvenile Fillies Turf (G1) run on Friday, November 3 at Del Mar. 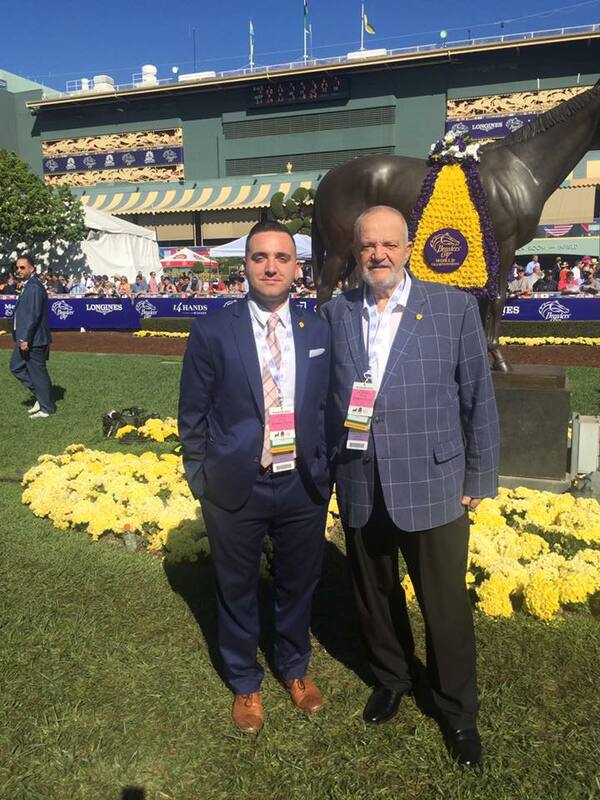 Hearing their stories, horse racing passion is alive and well among the younger generation. Their racing interest was sparked at a young age by a family member or a television introduction. Their newly opened door to this lifestyle to date is beyond their wildest dreams, and they aren’t taking any of this success for granted. They YPIs did their homework before joining the ownership ranks. They know many owners wait years and spend millions to get a quality horse like Best Performance and they are ecstatic about competing in such a prestigious race. In the days leading up to the Breeders’ Cup, we’ll highlight members of this special ownership group. Read part 1 of this blog, in which Jonathan Villa, a social studies teacher from New York, shares his ownership story. Next up is Chris Arroyo, a young professional from New Jersey who worked in the finance industry. If you’re a young person who thinks you’d never be able to afford a racehorse, think again! 1.) How did you become a racing fan? I got into racing by going to Monmouth Park when I was younger with my dad and reading the PPs with him. 2.) What made you decide you wanted to be a racehorse owner? I’ve known a former West Point owner for most of my life, and he showed me all of the work that goes into just the races. All of the different details and the hard work just to get to a race really drew me into racing. I got to go in the paddock when I was younger and always knew that I wanted to be there myself when I was older. 3.) What do your friends/family think of your “investment”? My Mom thought I was crazy for buying into horses when I was 23 rather than saving but she also didn’t realize how much of a passion and dream it was for me. Now I can’t keep her away from the races; she loves the family feel we get every time we’re at the track with the WPT team and all of the other Partners. And all of my friends all want updates on the horses and to come to the races…and the Breeders’ Cup Best Performance swag. 4.) What advice would you give to other young people looking to get involved? Obviously, as most will tell you, don’t expect a financial return but get into it because you love the sport. Even if it’s not your biggest passion, I feel really comfortable in saying that you’re going to fall in love with the horses, the sport, and the people. You’ll never believe the people you’ll meet from all walks of life and how much fun everyone is having while we’re enjoying the races. 5.) How does it feel to have a horse pointing for the Breeders’ Cup? You always see the horses that make it big time but know it’s such a small and special shot being in such prestigious races. I can’t tell you how excited my family, friends, and I are for this race. It’s such an incredible feeling and special feeling that I never imagined I would get to experience.